Participants in the conversation will include the most prominent national and local voices on the subject, including Fritz Haeg, artist, designer, radical gardener, and author of Edible Estates; Will Allen, contributor to the book, and MacArthur winning founder of Milwaukee- based Growing Power; Annie Novak, founder of Rooftop Farms in Greenpoint; and Scott Stringer, Manhattan Borough President and the force behind “FoodNYC: A Blueprint for a Sustainable Food System,” the most comprehensive effort to date to unify and reform New York City’s policies regarding the production, distribution, consumption, and disposal of food. 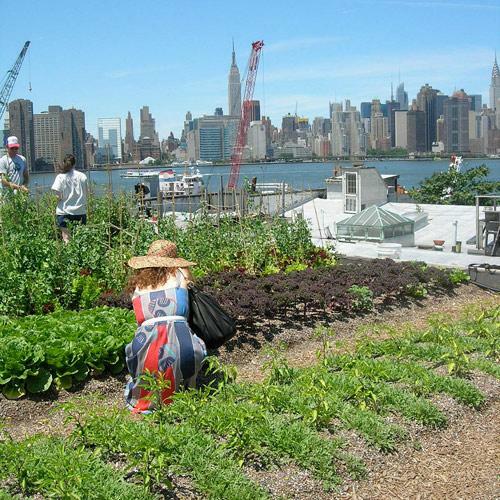 Panelists will tell stories of projects, gardens and urban farms that are already in the ground as provocative examples of what New York, and other cities, might look like in the future. The new edition of Edible Estates: Attack on the Front Lawn will be available for purchase.